My drivetrain warranty is officially over now that I’ve reached 60,000 miles. Amusingly, I declare that as though my power upgrades hadn’t killed the warranty already. HAHA! The car’s been running great. My list of mods continues to grow slowly. Since my 50k update, I’ve tinted the windows, added a few 3D printed accessories, went even darker on the glass by adding VW accessory sun shades, added an 8-inch European MIB2 display, and finally mounted my powdercoated Nogaros. 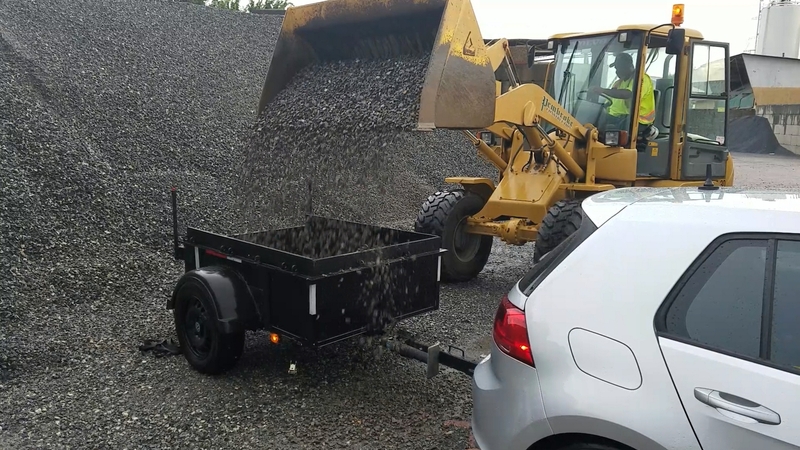 I’ve also been working my GTI like a mule by hauling plenty of rock and dirt loads with my utility trailer. Feel free to click each link to read more. We’ve done a lot of work on our house this summer. The major projects include foundation work, two central air conditioners with full duct work, a covered patio renovation, and a huge drainage project. My GTI has moved nearly 3000 lbs of #57 stone (several trips, with more to come), plus some dirt, pipe, and other oddball items. I used the cargo trailer to move patio furniture and other stuff that I wanted to keep enclosed. We’ve been busy! My body is feeling the effects, too. Even the simple task of mounting my powdercoated Nogaros was an experience that made me feel old! HAHA! As I did my 60k maintenance, I was amazed that the schedule didn’t call for the air filter to be replaced before now. 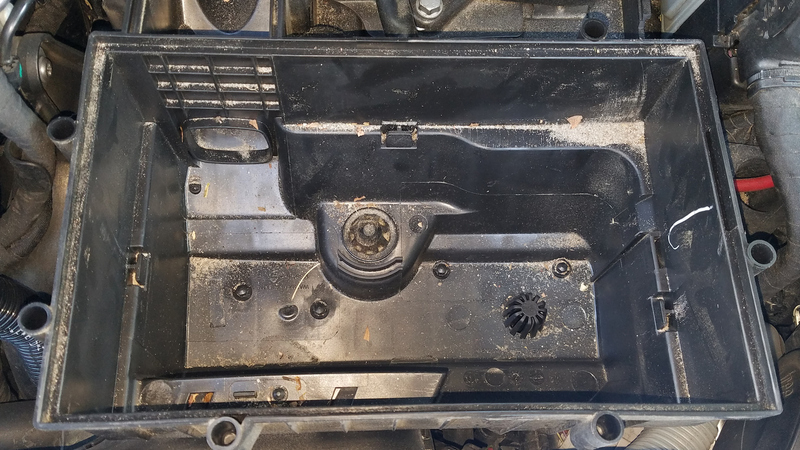 There was plenty of sand and dirt in the bottom of the airbox, but the filter itself didn’t look bad. The new filter may have given back some of the car’s pep. 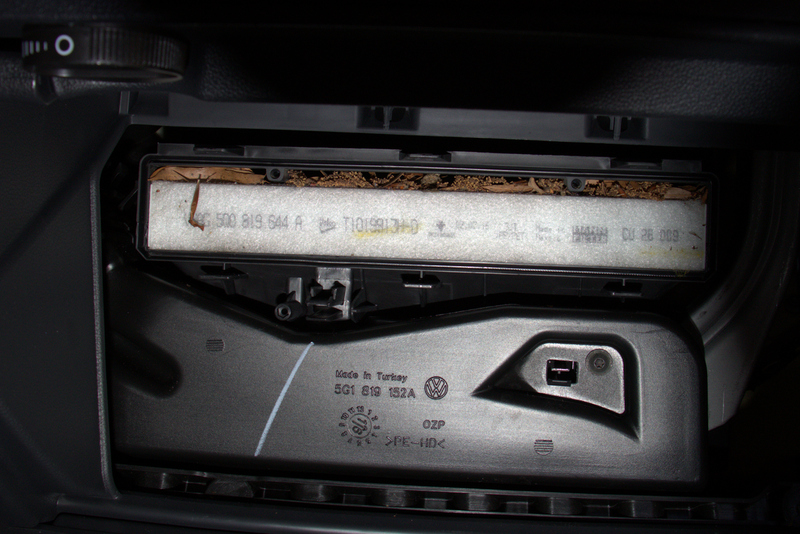 I feel like I should be changing the air filter more often; but these paper elements have A LOT of surface area. So I’m sure the published change interval isn’t hurting anything. Still, could performance suffer? It can if I’m to believe two guys at the parts counter who were trying to convince me that I need a K&N drop-in filter. “No Thanks!” I wasn’t in the mood to debate strangers… neither of us would’ve been convinced. HAHA! One of my peeves about the pop-in shades is the way my view is perforated through the rear glass. I had speculated that police officers who are unable to see through the shades and tinted glass might pull me over for having a “limo tint.” The tint itself is within Virginia legal limits. But the shades make it seem that it is not. An officer might not pull me over as I drive past. But I think it’s more likely that one following me down the road, unable to see through my car from behind, would find a reason to pull me over. “Dark tint = Gangster,” right? 😉 I removed the shade from the hatchback glass, just to play it safe. The rear door shades are still in place. I have to admit that I immediately enjoyed the improved clarity through my rear view mirror. The rear door shades still provide plenty of privacy to hide anything I might have in the back seat. 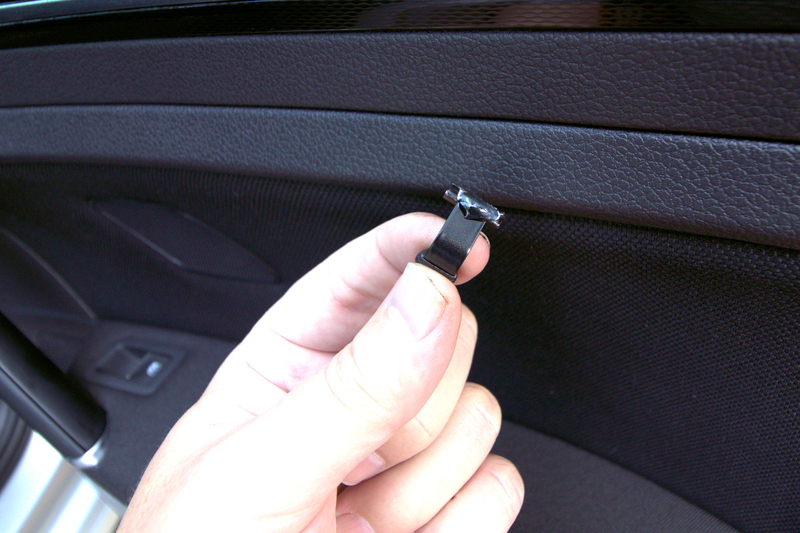 I discovered that one of the retention tabs had fallen out of the passenger side glass, probably while I was adjusting something. I was glad to find it sitting in the back seat. I added a dab of GOOP to the tabs to make sure none are lost in the future. I don’t imagine it’s easy to buy replacements. I’ve been thinking about the future of Volkswagen. I mentioned in my 50k entry that I had bought and sold a number of VWs recently. I’ve owned 11 cars in my 34 years of driving, all of them equipped with a manual transmission, which used to be referred to as a “standard” transmission. Some people still call them “standards” instead of “sticks” or “manuals.” However, I’ve noticed it’s becoming increasingly difficult to find manual transmissions in cars other than base models or sports cars; even high-end sports cars have automatics. 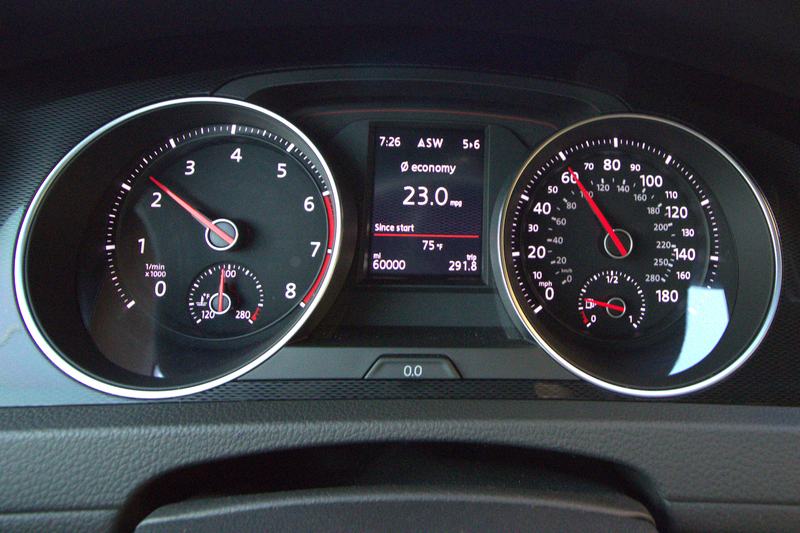 It seems automatics have become the “standard” transmission. Everyone in my household drives a manual. My wife also prefers sunroofs, which rules out nearly all base models. We talked about how more and more car makers are eliminating manual transmissions from their line-ups. Volkswagen was one of the few brands that offered a manual in a sedan with a sunroof. But that changed with the 2019 Mk7 Jetta. We were shopping around the time that the new 2019 Jetta was introduced. Neither of us care for the new styling, so we were inclined to favor the outgoing 2018 model. Then we learned that the new Jetta was not going to be offered with a manual transmission, not even in the sporty GLI. That was a deal-killer for us, so much so that it was worth while for me to fly 500 miles to grab the Jetta of our choice and then drive it all the way home the next day. See my wife’s 2018 Jetta here. 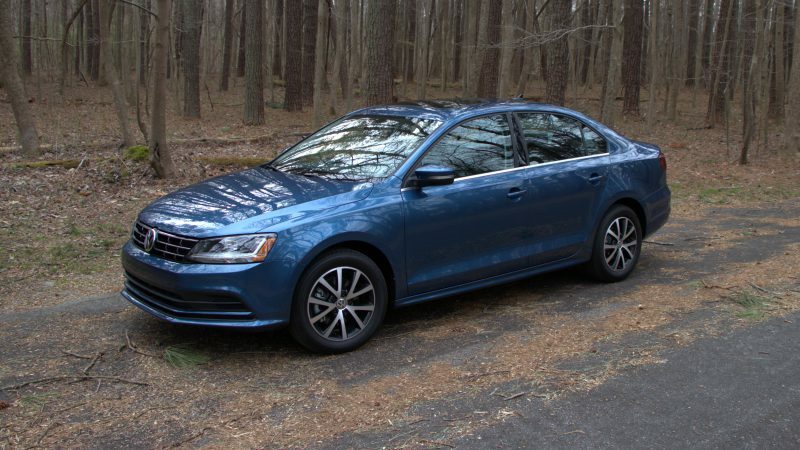 I started writing this with the impression that the Jetta had gone “auto-only.” However, the “S” (base) is now available with a manual transmission (no sunroof, though). Unfortunately, it is too spartan for our tastes. I think the only other VWs to offer a manual transmission are the base Golfs (including the wagens), the GTI, and the Golf R. How long will that last? Manual transmissions are getting more difficult to find as time passes. One side of me thinks that the sport-oriented GTI and Golf R will always be available with a manual transmission. But VW’s marketing and manufacturing direction has me wondering if the Mk8 Golfs could be among the first Golfs in history to be offered only with an automatic transmission, including a DSG. Not a Mk8… Photo courtesy of Keyton Ciego. 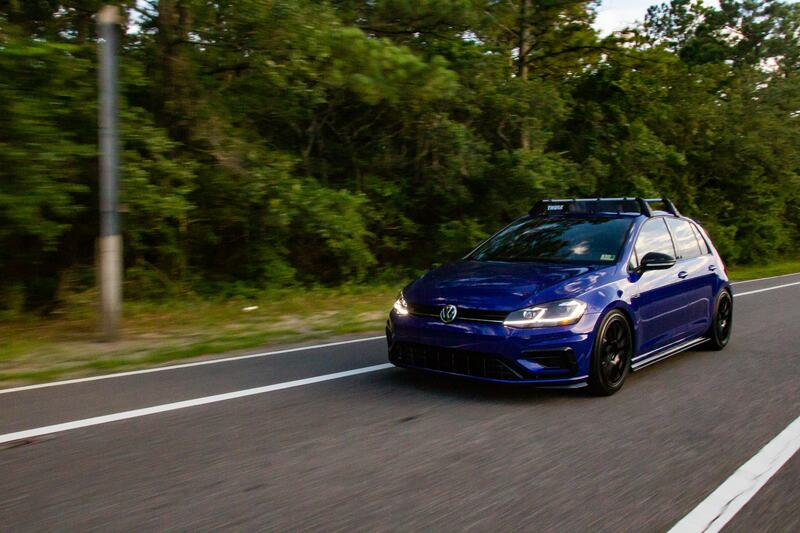 My next car could be a Mk8 Golf R. As much as I hate to admit it as a lifelong manual transmission driver, I think the DSG is the way to go with the Golf R. I’d pursue the R for the extra traction from a stop and choose the DSG for the quickest launch and shifts. To me, the R is all about speed, so I’d want the fastest transmission. I don’t know if I’d miss the manual transmission experience. I think I’d get over it, especially if my GTI is still around as a daily driver. Regardless, a manual transmission may not be an option in North America with future generations of Golfs. I think they’ve already been purged from 95% of Audi’s lineup as well. Volkswagen is bound to follow suit, even if just to simplify manufacturing and marketing efforts. 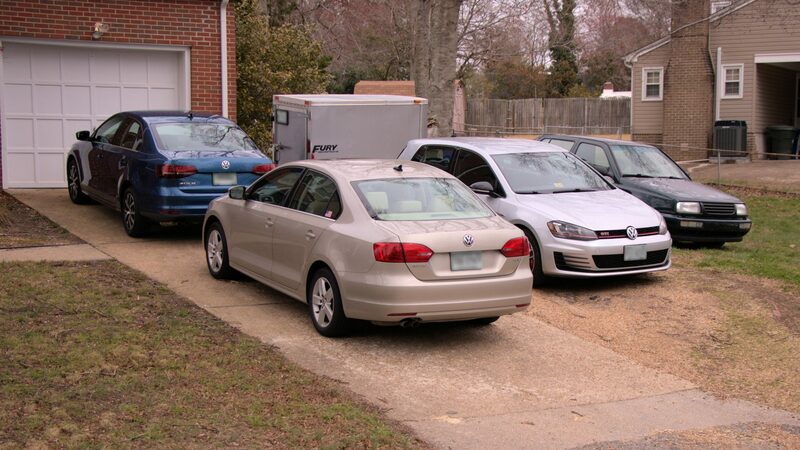 In addition to pondering the future of manual transmissions, I’ve also thought about the demise of the TDI, especially in the wake of my driveway being without a TDI for the first time in over 20 years. I have to admit that I don’t miss the TDI, not even with me paying exactly double to fuel my thirstier GTI with premium fuel. 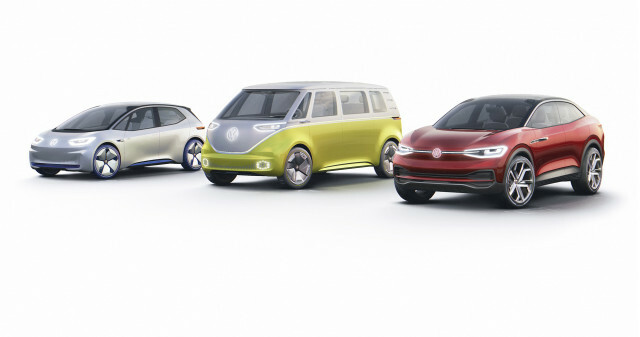 Although I love my GTI, I find myself fascinated with Volkswagen’s electric concept vehicles. There’s even been talk about an electric or hybrid GTI with far more horsepower than today’s already-fantastic GTI. Of course, there’s nothing official from VW about this, but the possibilities are intriguing. It’s very safe to say that an electric or hybrid would NOT feature a manual transmission. I also suspect that the cars would be far less of a “tuner’s car.” Can an electric/hybrid GTI be personalized as much as today’s GTIs? Would a switch to electrics hurt aftermarket tuning companies such as APR, GIAC, Unitronic, etc? Or could they adapt and move into e-tuning? Time will tell.